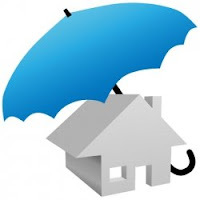 Landlord insurance may be very important to anyone who has a property which they let out, however, finding the best landlord’s insurance quote can be something else. When it comes to insurance policies it is often wrongly assumed that all companies offer the same cover, so some people may feel that the best option is to look for the best price. This assumption is often not correct. Landlord insurance policies can vary dramatically from provider to provider, so however time consuming and / or daunting it may seem, it may be best to read through all of the policy documents to ensure you are getting the most suitable landlord insurance quote for your circumstances. * Discounts for increasing your voluntary excess. The voluntary excess often varies from policy to policy and often it is the case that the more a client is willing to agree as a voluntary excess, the less they may have to pay for their let property cover. So it’s good to bear in mind that agreeing to pay the maximum voluntary excess in some cases may work out to be a cost effective option. Landlord insurance quotes can be obtained from many reputable companies, which can be easily located through search engines on the internet. As with regular house insurance, you may find that there are companies who will process your whole application in very little time online. The main thing to remember when looking for landlord insurance is the value for money that you are getting. You may find a policy which costs less than the competition, but on closer inspection it may be that a lot of the features you would expect are not within the standard policy they are offering. Always shop around, spend a little time getting familiar with what you can expect as standard, and then compare each and every option to find what you believe is the best landlord insurance quote for you.